The very comfortable, adjoining holiday homes are located on the edge of the Colenbranderbos. These accomodations are characterized by the space and quality of the furnishings. They've thought of every detail, and you have all of the contemporary equipment you need, such as a dishwasher, combi-microwave, flat screen TV, DVD player and even free wireless internet. 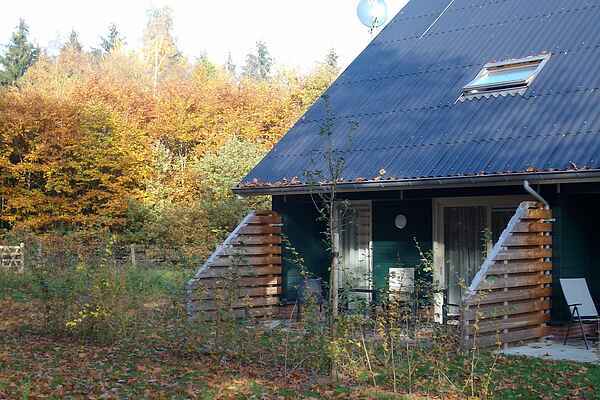 You have the choice of a 4 person (NL-7797-06, which is the same as a 6-pers., with one bedroom closed off), a 6-pers. (NL-7797-08) and an 8-pers. (NL-7797-10) variant. For families with (young) children there are child friendly accommodations on the park. The unique thing about this, is that there is a separate shower in the childrens bedroom in the shape of an elephant or sun with a rain cloud. Fantastic for the children! These types are apartments for 4 persons (NL-7797-07) or 6-persons (NL-7797-09). All holiday homes have a sliding door leading to the sun terrace with comfortable garden furniture and a parasol.